In a move than very few business owners will ever even notice, Google+ Brand Pages are disappearing. At one point in my life I had very high hopes for Google+. Unfortunately, the platform was horribly managed and completely overrun with spam. Brand pages could communicate directly with customers, just like they do on Twitter. But Google+ was incredibly complicated. Even though I was very involved I still can’t even remember the difference between a Google Plus Business Page or a Google Plus Brand Page or a GMB generated Plus Page, etc. Who knows. Then… At one point they changed the algorithm – users could no longer see Google Plus Posts chronologically – posts were totally scattered in a random order. Tat was one of the final nails in the coffin before they attempted a Pinterest style layout. As of late April 2018, most of these business pages are now gone. There is also no way to back up the content business owners had posted onto Google Plus. I’ve said this 1,000 times by now, but the most important place anyone can put content is on their own website. If you’re still posting on Google Plus as a business, I would strongly recommend that you stop wasting your time. 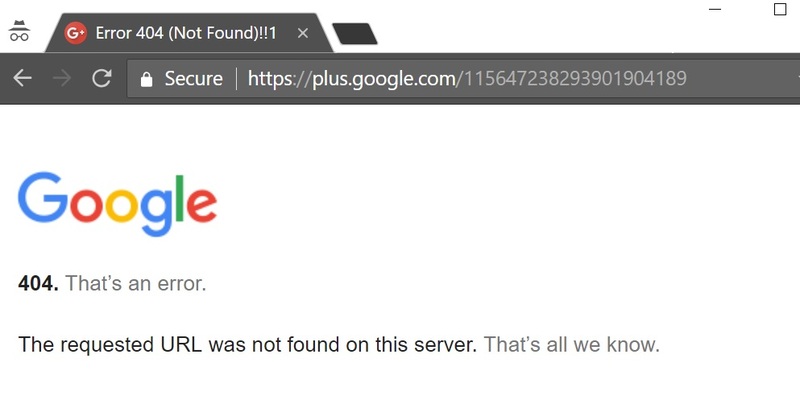 I am assuming that any brands which owned Google Plus Communities have now lost their ability to own / moderate / manage or even access the communities they used to own. If you have any input on that or experienced a missing Google Plus Brand Page please feel free to comment below. Hi Len, Thank you for posting the google + disappearance article. Mine disappeared with a 404 error message and I was wondering if it was because of a couple of accounts that I had deleted. Now I know why!